This case study focuses on Archibald Garrod and his identification of several "inborn errors of metabolism," which linked Mendelian factors to physiological chemistry at the turn of the 20th century. 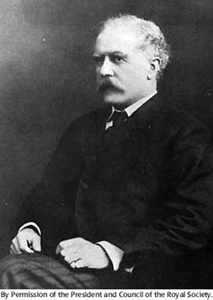 Nobel Prize winner George Beadle later heralded Garrod's work as an early expression of the "one gene, one enzyme" concept. 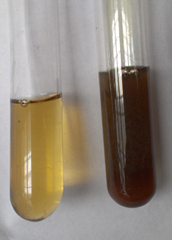 The case begins with Garrod's analysis of patients with alkaptonuria, whose urine turns black. This was the first human trait recognized as exhibiting Mendelian inheritance patterns. Yet Garrod himself remained aloof from the debates that followed the rediscovery of Mendel's work, and his subsequent work was largely unappreciated by geneticists for several decades. Download ZIP file with text & HTML presentation.